Traditionally Bonds are used to lower investment risk. They are a type of investment that pays you interest at the end of the term. Nice and simple. As we all know deposit rates are tiny right now - something close to zero in Ireland. Even if you can get a rate a bit higher DIRT cuts that return nearly in half. Even the NTMA/An Post has cut their 10-year rate to 1.5% (AER) and you have to wait 10 years to get it. So it is no surprise that investors have started looking for alternatives – with a better return but with low risk. Pension fund holders also use bond funds to lower their risk, especially as they approach retirement. All default investment strategies that are available to company schemes, personal pensions and PRSA’s have automatic moves built in take you out of equities/shares and into bonds. The old idea was to hold bonds as most people bought annuities (guaranteed income for life) with their pensions and bonds helped secure those. These days with the availability of ARF’s (Approved Minimum Retirement Funds), very low annuity rates, and extremely over valued bonds, this automatic move to bonds needs to be questioned. Some bonds are so over valued that investors have to pay the bond issuer interest rather than the other way around. The investor is effectively guaranteed to lose money rather than the normal make some interest. It simply does not make sense to automatically buy bonds now. 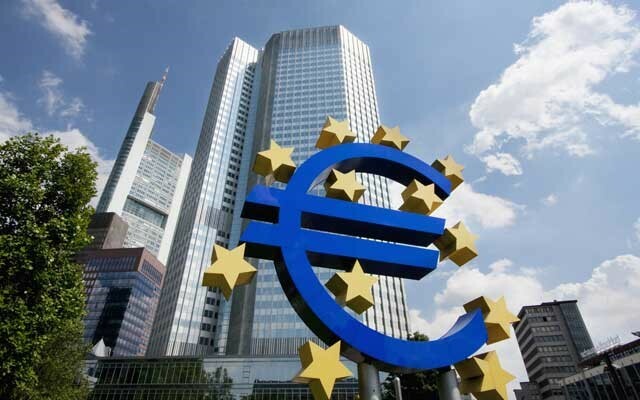 The ECB initiated an aggressive bond-buying program, similar to the quantitative easing programs executed by the Federal Reserve in the United States. As a result, the inventory of government bonds has been depleted, which has driven up bond prices. The ECB is also now buying corporate bonds. In June this year the ECB started buying up investment grade debt. Estimates of the total size of the eligible market range from €500bn to about €1trn. Analysts suggest the ECB will buy roughly €3bn-€10bn per month. That will put further upward pressure on bond values and effectively investment and pension fund holder will be buying ever more expensive bonds. Buying expensive investments is not usually a way to make sure you make a good return and instead increases your chances of losses when the bubble bursts. Right now if you have held bonds you have done very well (see chart *) relative to the risk. The chart shows the average fund performance over the past 8 years. This is after the crisis hit but not before it bottomed out in early 2009. You can see that Bonds both Government and Corporate have done nearly as well as equities. This is not normal against long term averages for these assets, especially since equities were already cheap back in September 2008. *Please Note that past performance is not a guide to future returns and that fund values can fall as well as rise. Future returns are subject to future market conditions. It may be time to review your options for your pension or investments and consider alternatives. Cash may be appropriate for short term moves but not longer than that. Absolute Return Funds can also be appropriate as they are not tied to any particular asset and can make money whether markets are going up or down. They are not without risk but the highly diversified versions do have a strong track record – we would recommend spreading across 3-4 of them to smooth out your returns and these days that is easily done. Outside of that you can look at equities and property but your risk level increases and with property you can get stuck like we saw in 2008. For cautious investors there are options where you have underlying guarantees but still invest in equities. Like most investments you need to read the small print to understand exactly what is being offered – the marketing message may be great but read the small print and get advice if in doubt. Bonds can be a great asset to lower risk and provide a return higher than deposits but you need to take another look at them and consider cautious alternatives until interest rates return to more normal levels. This is especially important for those who are about to retire or who have retired. Their nest egg is key to their financial future and it is worth getting independent advice from a fee based advisor, who can review your situation and give you impartial advice. Author: Michael Kiernan is CEO & Compliance Officer at MyAdviser.ie, holds QFA, BSc. (Mgmt) & MA and MyAdviser has been providing independent financial advice for 15 years. If you have any questions P: 01-90 10 464 or E: info@myadviser.ie. MyAdviser specialises in lifestyle financial planning and serves clients across Ireland. Existing Advisory Clients can contact us with any questions regarding this information or any other issue in their lives. We are here to help and want to make sure that any concern is dealt with.